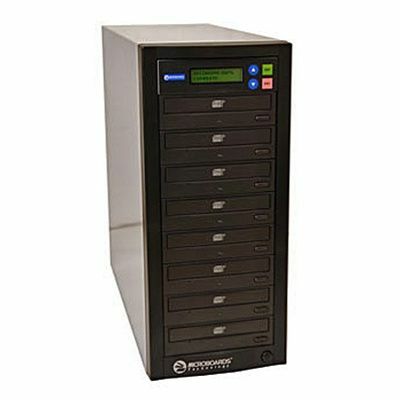 Now Microboards new Quic Disc 24X DVD Duplicators can give you great entry level duplication at a super economical price! 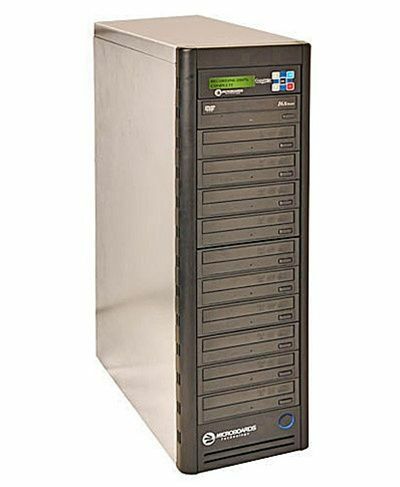 The QD-DVD-127 is a one-to-seven DVD/CD copier modeled after the popular QD-DVD-123. Microboards Quic Disc™24X DVD Duplicators deliver great entry level duplication at an economical price! 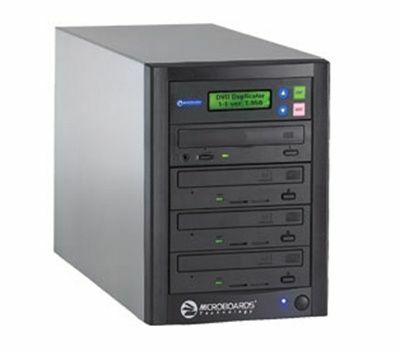 Microboards QD disc copiers are created with an easy-to-use four-button touch panel, so you can insert your master in the top drive, place your blank discs in the bottom drives and let the Microboards QD burn! 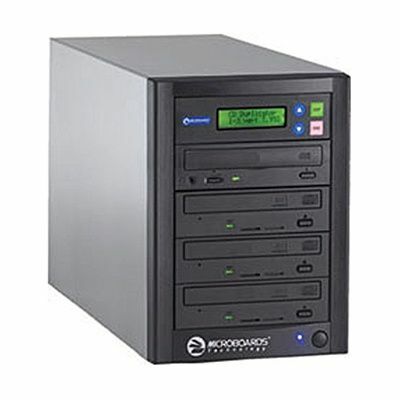 Microboards QD DVD copiers burn DVDs at up to 24X speed and CDs at up to 48X Speed! 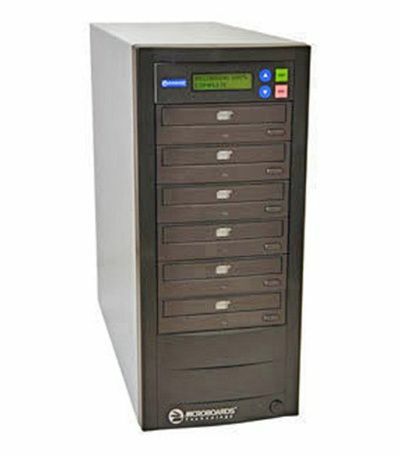 QD Duplicators are perfectly suited to organizations that need to deliver small runs on demand. 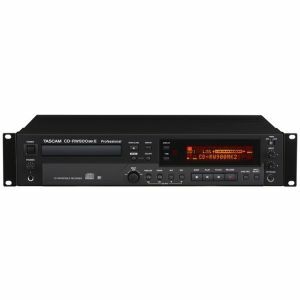 Use it standalone (without connecting to a PC) or connect to your PC for easy mastering over the USB port with the included recording software! QD copiers support DVD-R, DVD+R, DVD Video, DVD-ROM, DVD-DL, and all CD formats including CD+G (karaoke). 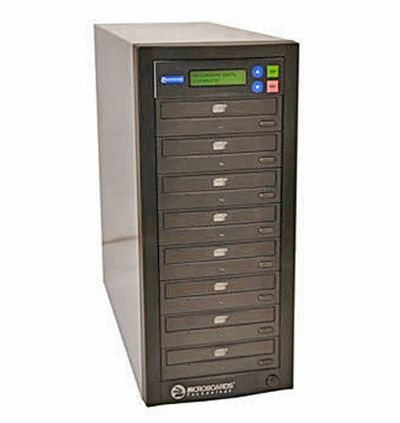 QD DVD duplicators are the latest in a long line of award-winning duplication equipment products from Microboards, and comes complete with a 1-year manufacturer warranty.